Botanical* Fly and Mosquito Repellant... AND Perfume? Home » Community » HorseGirl with Angelea Kelly » HorseGirl Blog » Botanical* Fly and Mosquito Repellant... AND Perfume? Okey so my title could be mildly misleading however please allow me to state my case below. I've been following Spalding Lab's testing of Bye Bye Insects for some time now. I've been watching the chart build (WATCH the video of how BBI compares here) comparing BBI to other leading brands and the numbers don't lie... it's a darn good fly spray, dare one say the best out there even! Before I "met" Bye Bye Insects in person, I loved the mere idea of it. I've followed a rule of using products on my horses that I would use on myself thus why I love Bye Bye Odor so, so, SO much! 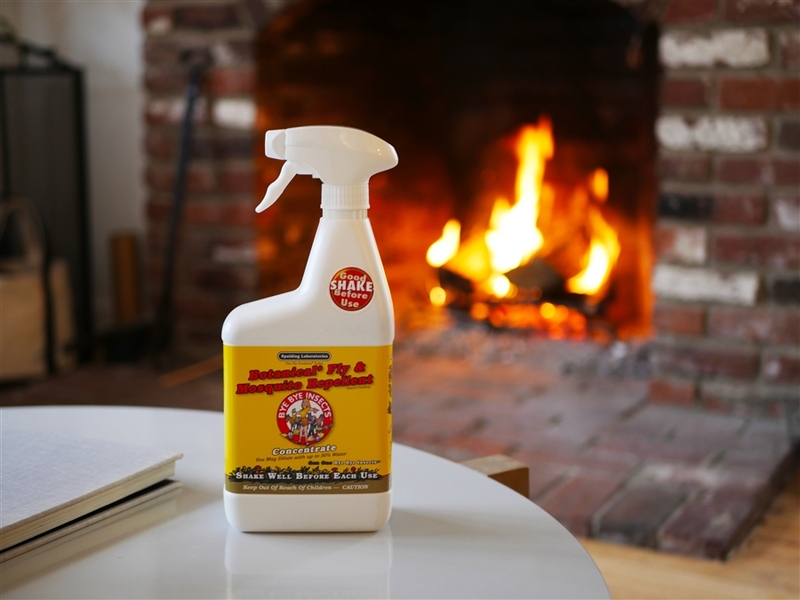 As far as I know, Bye Bye Insects is the first and only fly spray as effective as the best pyrethrin synthetic chemical products except it uses ONLY ingredients that met the EPA’s strict 25(b) Minimum Risk criteria. In lay-person's terms... it's a pretty awesome botanical* product! I "met" BBI for the first time at this month's Equine Affaire and it was too chilly there to see a fly but that didn't stop me from spritzing some of it on myself to get a feel, and subsequent smell, of it. I spritzed a bit on my wrist and after continued wear, I realized it has a super pleasant smell! Ok, so... I wouldn't hold it up against CHANEL no.5 for most folks but, as horse girls go, it's definitely a light and lovely smell with the added and well tested benefits of fly and mosquito repellant! What more? In true Spalding Labs fashion, it's not only the most effective usage wise but also so very cost effective too! A 32 ounce spray bottle is only $22.95 delivered and the 3 quart refill pouch only $44.95 delivered! What exactly does that mean though? Well.. hang on to your 32 ounce spray bottle after you've finished it and using the refill at full strength it's only $14.98 per quart bottle OR if you use it at half strength that's only $7.49 per quart! WAY more value for your fly spray bucks as compares to other leading brands. I've been using Fly Predators since 2012 so nary see a fly on my property these days, still, I buy fly spray to take to competitions, use out the trails or hiking, or when trailer in to a clinic at a facility that might not yet be hip to the jive of the benefits of Fly Predators. You can read all about the studies performed, it's development, or order from Bye Bye Insects page. Also, if you haven't already, you can renew your Fly Predators for 2019 and instead of getting your early renewal double up bonus, opt to receive for a FREE bottle of Bye Bye Insects instead. Just select the option when you order and you'll receive your free bottle with your first shipment of Fly Predators. This is a good deal for folks like me who receive 5,000 to 10,000 bugs per shipment.